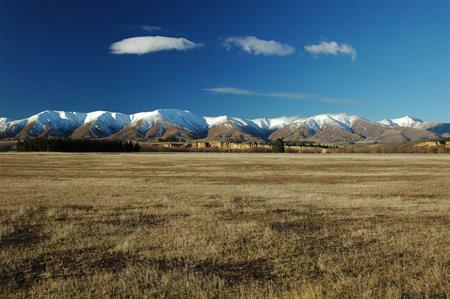 Natural light reflects off the velvet folds of magnificent mountain ranges onto pastoral valleys, rocky tors and the awesome sprawling Maniototo Plain. Throughout this vast landscape remnants of a prosperous gold mining past lie in the scarred hillsides, occasional mud-brick buildings, old stone fences and lonely cemeteries. It is a timeless land where the Taieri River meanders lazily, and empty roads stretch by irrigated farmlands to historic, sleepy townships. 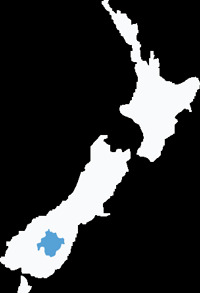 atearoa. Evidence of gold diggings also exists at Kyeburn, Golden Progress Mine, and in Hamiltons district. Marvel at the restored 1930s simple modernist art deco architecture of Ranfurly. This is Maniototo's main town and New Zealand's Rural Art Deco oasis. In St Bathans both the post office and the reputedly haunted Vulcan Hotel, are still in business. Nearby Blue Lake resulted from the flooding of an enormous pit left by the world’s deepest hydraulic mining lift of gravel. Visit Hayes Engineering Works at Oturehua, the home of impressive farming inventions (1895-1933). The plant features equipment still used and exported today. Nearby the Gilchrist's general store, trading since 1902 is crammed with memorabilia of its life as a general store. Imagine the Lord of the Rings movie set at Poolburn Reservoir, instantly recognisable as the Village of Rohan. Experience the ancient Scottish ice sport of curling at Naseby. Fish on the Taieri River. Take the Maniototo section of the Otago Central Rail Trail, the Sowburn Walkway, or established tracks through the forests. 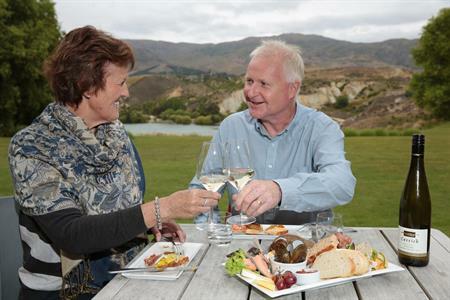 Wedderburn is a convenient stop on the highest point of the Otago Central Rail Trail. The Wedderburn railway goods shed made famous by acclaimed artist Grahame Sydney in his painting ‘July in Maniototo’, has been restored to its original site at the southern end of the township adjacent to the only remaining Vogel 5 railway station and ticket office in New Zealand.